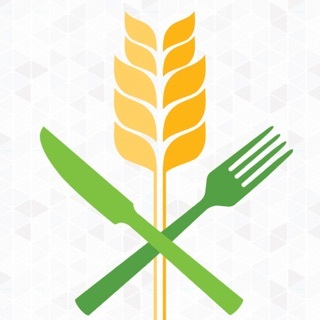 DineSafe provides personal menus for those who have food allergies and other dietary restrictions. We find nearby allergy friendly restaurants and displays a custom, easy to read menu just for you. 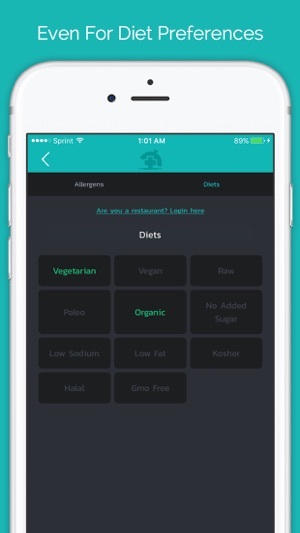 - Users can now upload recipes and tag them with the allergens they contain allowing other users the ability to discover recipes that fit their diet preferences. 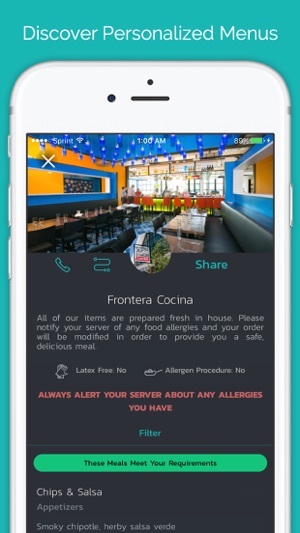 Great app, concept and tool for restaurants to communicate all meal allergens,nutritional info and dietary preferences. If restaurants do not create their own accounts and use this tool available to them, that will be the reason something this great doesn’t exist or function as it was created to. A bit forward thinking, but great things are ! 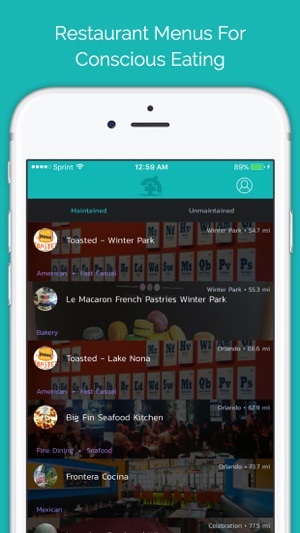 :) Restaurants must create their own accounts so all info stays in real time accuracy! This is ingenious and useful! 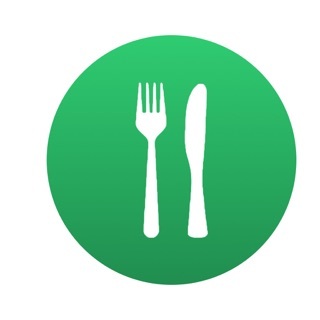 I cannot wait to use this when I eat out! 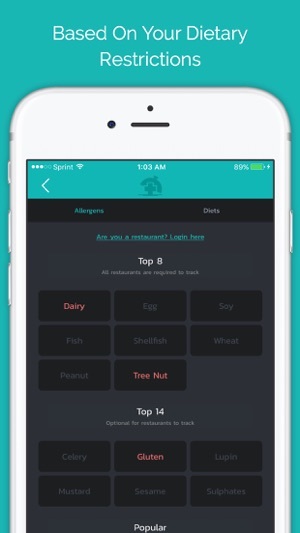 Trying to avoid dairy and wheat and this will make choosing a restaurant and ordering there sooo much easier. Asking my favorite restaurants to get on board!!! 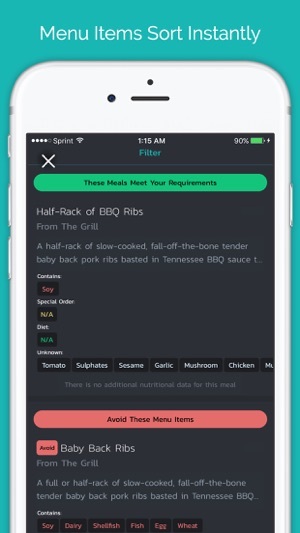 For someone like myself who has food intolerances, I love this app. I can't for more restaurants to get on board.